This centre for further education on Holocaust studies was founded by survivors in Vancouver as a permanent institution in 1994. The goal of the founders was to make the causes and consequences of discrimination, racism, and antisemitism accessible to visitors through education and memory of the Holocaust. The centre aims to strengthen awareness of human rights, social justice, and genocide with the use of reminders of the Holocaust. The Holocaust Education Centre in Vancouver attracts 25,000 students and teachers annually, making it a leader in western Canada. It offers exhibitions and programs for students on specific themes and produces teaching materials. It has web-based publications, a permanent museum collection with artifacts gathered from Holocaust survivors, an archive, a library, and a continuous project documenting testimonies from the survivors. The Holocaust Education Centre in Vancouver | © Goethe-Institut Montreal In addition, the centre organizes numerous cultural and memorial events for the public, and it produces a newsletter named “Zachor” three times a year. 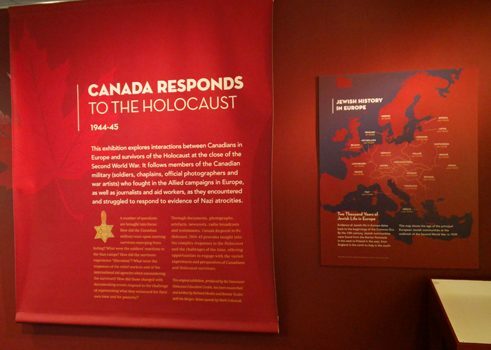 It regularly puts on new events focusing on the circumstances of the time from a Canadian perspective, and it’s certainly worth visiting the Holocaust Education Centre when you’re in Vancouver.